Online shopping has experienced a significant rise in popularity, especially in recent years. I often see it as a convenient way to order what you need without leaving the comfort of your home, especially around the holidays when the stores are crowded with aggressive throngs of shoppers. However, security issues exist when you type in your card details into check out pages online. I've known of a few friends who've discovered suspicious charges on their credit cards. Often, they've entered their credit card details on so many platforms that they can't even pinpoint where their details might have been stolen. Another issue is with unscrupulous sellers: they often mark up their prices online and bank on unsuspecting buyers who haven't done their homework on how much a product should cost. You'd think that with all the tools available to online shoppers, such research should be a breeze. However, with convenient checkout procedures, online shoppers get too 'trigger happy' when shopping online and these scheming sellers walk away with too healthy a profit far too often. 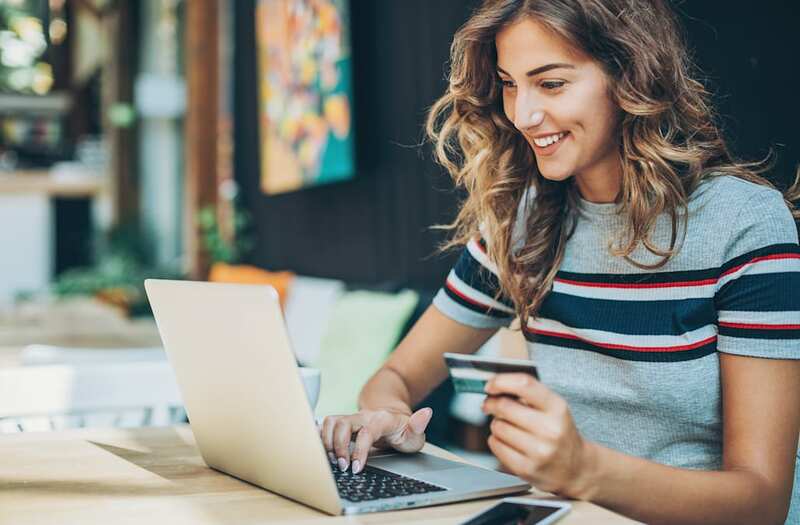 To stay safe while shopping online, I recommend you follow these few rules to keep your card information from getting into the wrong hands, as well as to receive discounts and anticipate your order's approximate arrival time. Manywebsites will have a seal at the bottom stating that the website is indeed secure and will not make your information public under any circumstances. A site that has 'https://' at the beginning of their web address as well as a padlock symbol is typically a site to trust. Returning items to online stores can be a major hassle. So why not find out what others think of the product before you purchase it online? For example, before buying a new laptop, search for comments and complaints associated with the brand. If there are more negative reviews than positive, and the same problem is reoccurring, then it may not be a brand worth investing in. This will save yourself from buying something that would have to be returned to the store soon after receipt. Who doesn't like saving money, especially on necessities? Almost every retailer will have some sort of promotion available, so ensure you look for one before purchasing. You may not find every code useful or relevant to your purchase, but there are plenty out there that could save you money. So, before you check out ensure you search your retailer for voucher codes and see how much you could save. Price-matching and price-comparison is the one of the best strategies for saving money while shopping online, as you will be able to purchase items that you otherwise would not have been able to afford. Retailers are in constant competition with each other to offer the best price and product to customers, so find the one that's offering the best deal. When shopping online, it's incredibly easy to get side-tracked and accidentally add things into your shopping cart. For example, you may double click on an item and not notice that you've order two of it until it's too late. As well as this, if you've visited a site before but abandoned your cart before purchasing, the site will sometimes have saved your items when you visit again. Thus, it's incredibly important that you double check what you're buying. Many sites give you the option to track you orders. This is especially handy when you need your order by a specific date (before Christmas, in time for a birthday party, etc.). Stay on-top of your order's location at all times, including the cities that it is arriving in and departing from every day. A lot of online trackers go through FedEx or UPS and are typically very accurate. Online shopping can be an easy and enjoyable experience if you prepare yourself. Primary concerns include paying the lowest price for what you are buying and receiving your order on or before the anticipated date of arrival. Follow these rules and you could save hundreds, receive a fantastic product, and have it delivered to your door quickly. The post 6 must-follow rules for shopping online appeared first on My Broken Coin. What is your filing status if you’re married but not divorced?